21/10/14. Erbil, Iraq. 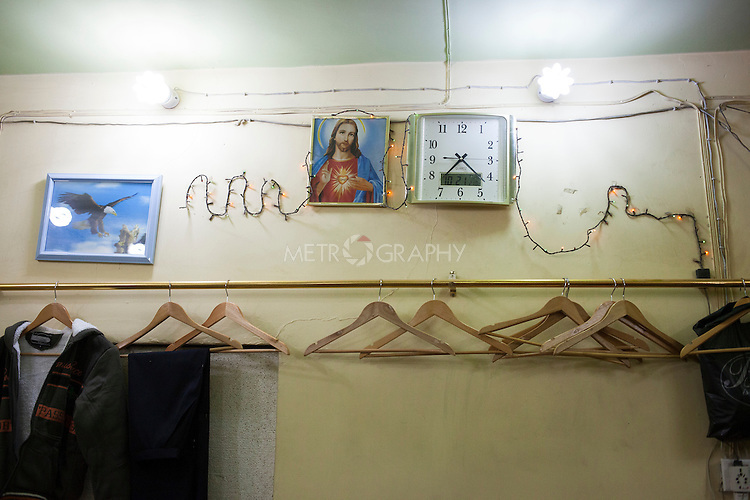 Coat-hangers and a picture of Jesus Christ are seen on the wall of Wassam and Milad's uncle Amir's tailoring shop in Ainkawa.